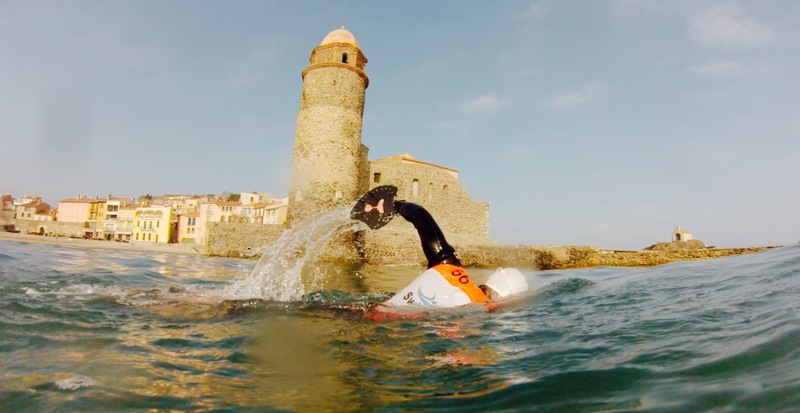 Now an established date on the sporting calendar, Argelès-sur-Mer has the distinct privilege of hosting the annual SwimRun Event for the Côte Vermeille. Each year, in June, this relatively new discipline pitches teams of 2 against one another in a race along our beautiful yet unforgiving coast line. 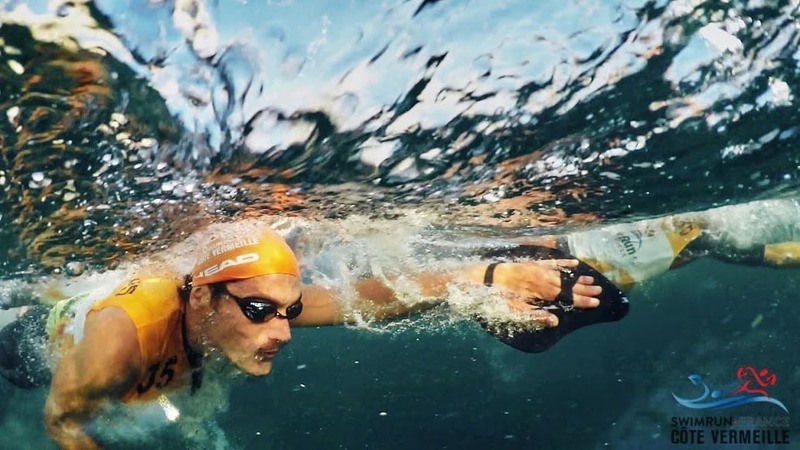 At times swimming, at times running ; participants test their mettle across 6 possible distances, tackling the coastal coves of the Mediterranean and the rocky trails of the Albera Massif. 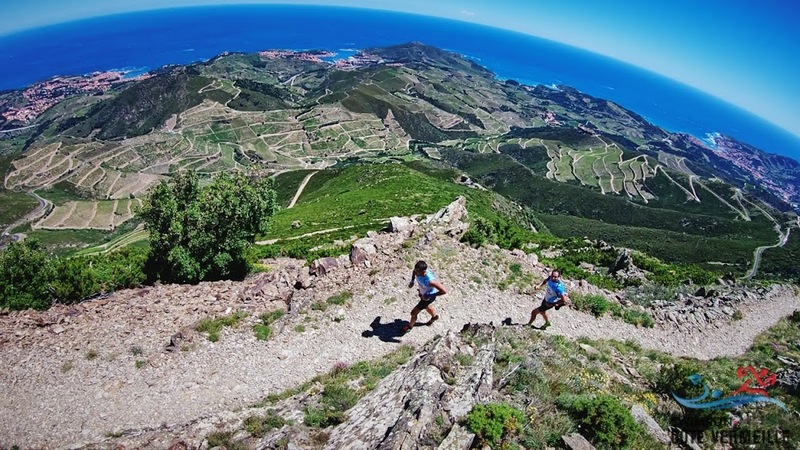 La Longue (long) : 45.8km from Banyuls-sur-Mer, covering 1863 vertical metres. In 2017, organisers Sylvain Rousselat and Olivier Serra, extended the scope of their event to include access for disabled children. Working closely with children’s charity, Courires 66, they fund raised for the material, equipment and personnel needed to invite 10 residents of the centre for children with motor disabilities, IEM Galaxy, in Argelès. In addition to the army of volunteers needed to manage the original event, the children were supported by another 70 people, all of whom were moved by the evident pleasure the kids got from participating. Sylvain remembers their enthusiasm and courage as a “belle surprise“; an extraordinarily sociable moment in which the children took centre stage, and shone. It fuelled Sylvain and Olivier’s desire to again widen their horizons and in 2018, alongside 10 more children from IEM Galaxy, 5 disabled adults took part in La Courte. Supported by no less than 120 additional volunteers from Courire 66, IEM Galaxie, Solimar (residential centre for disabled adults) and Enfants de la Mer (local community group), the 15 participants were an inspiration to other competitors and onlookers alike. Want to be involved but don’t fancy competing? Un e parle avec un é.
Tu peux répéter, je ne comprends rien avec ton accent!